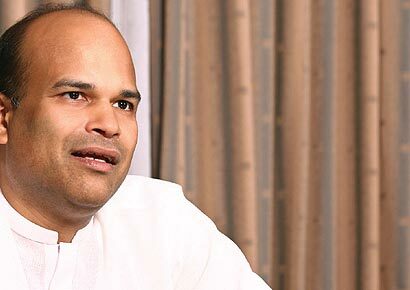 Former Minister Milinda Moragoda is being actively considered to be the government candidate for Mayor of Colombo although no final decision has yet been taken, authoritative governmental sources said yesterday. The UNP has not yet made up its mind on who its mayoral candidate will be although aspirants include Provincial Councillor A.J.M. Muzammil, MP Mohamed Maharoof and WPC C.Y.P. Ram, from Kotahena. Former Minister Karunasena Kodituwakku has also expressed an interest, well informed sources said. “We’ll announce our mayoral candidate once nominations are in,’’ UNP Secretary Tissa Attanayake said. Moragoda who failed to get re-elected to parliament at the last general election has not sought the nomination but top members of the administration have discussed the possibility of his candidature. “He is willing to give it a shot if that is what government leaders want,’’ sources close to him said. Moragoda, though not holding formal office, has been on tap for various sensitive government assignments and is also provided official security. He founded and leads a political party which has not yet been recognized by the Commissioner of Election as it was founded less than three years ago. However, if he is the ruling party nominee for the Mayor of Colombo, he is expected to run as an SLFP candidate. He is known to be a confidante of former minister, mayor and UNP strong man Sirisena Cooray who is widely credited for a major role in getting an independent group elected to office in the CMC after the UNP botched its nominations. In the event that Moragoda is not the government party candidate, Mr. Omar Kamil, now city administrator of Colombo and a former UNP Mayor with long experience in the CMC is the likely candidate. The possibility of Kamil being deputy to Moragoda is not ruled out. The SLMC will be running on its own at several MCs – Colombo, Kandy, Galle, Negombo and Kalmunai. Party leader Rauff Hakeem had briefed President Rajapaksa on his party’s plans at a Temple Trees meeting on Friday. The JVP will field Attorney Sunil Watagala as its mayoral candidate for Colombo. He’s a former MMC and WPC. Ex-MP Mano Ganeshan will run as candidate from Democratic People’s Front. Meanwhile nomination boards appointed by the major parties were busy yesterday considering their candidate slates.